The weather has gone from winter rain to spring rain, still rather gloomy but definitely more pleasant overall. Spring migration is slowly picking up with new species gradually accumulating in my 5-Mile Radius. 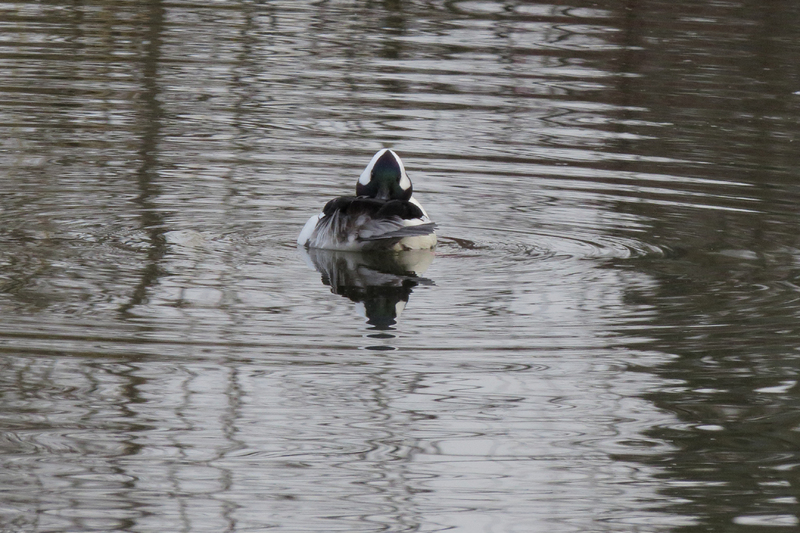 Most of the new sites that I have explored in my 5MR have been very underwhelming, but I was recently introduced to Cedar Mill Wetlands in Beaverton. 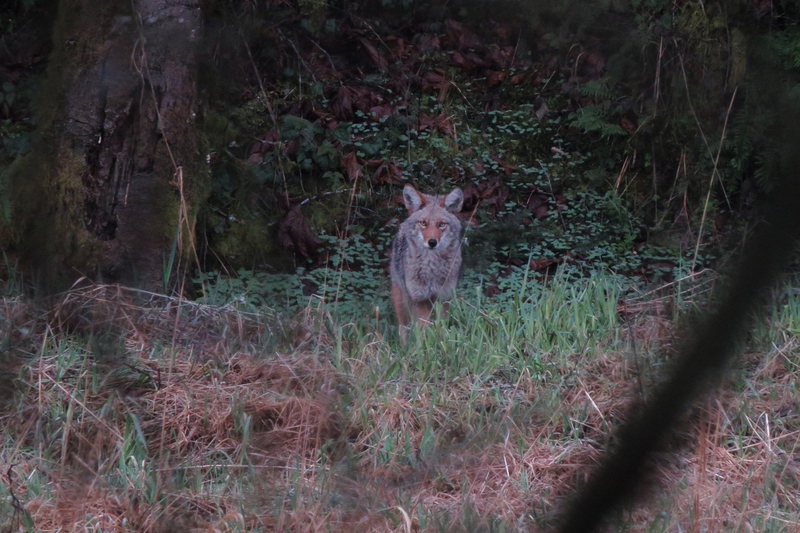 This little site has produced 45 species in two short visits, as well as this encounter with a Coyote. 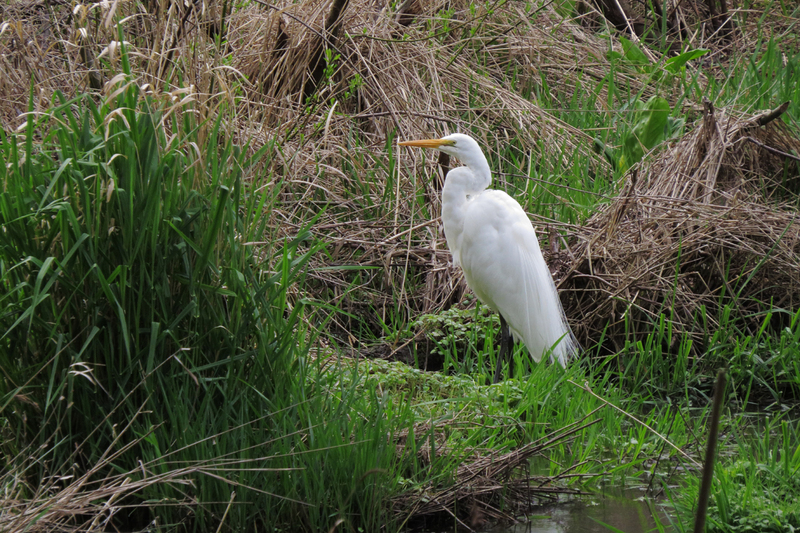 The little wetland associated with Commonwealth Lake Park continues to be a favorite site with local birders. The flock of Wilson’s Snipes has thinned out a bit. 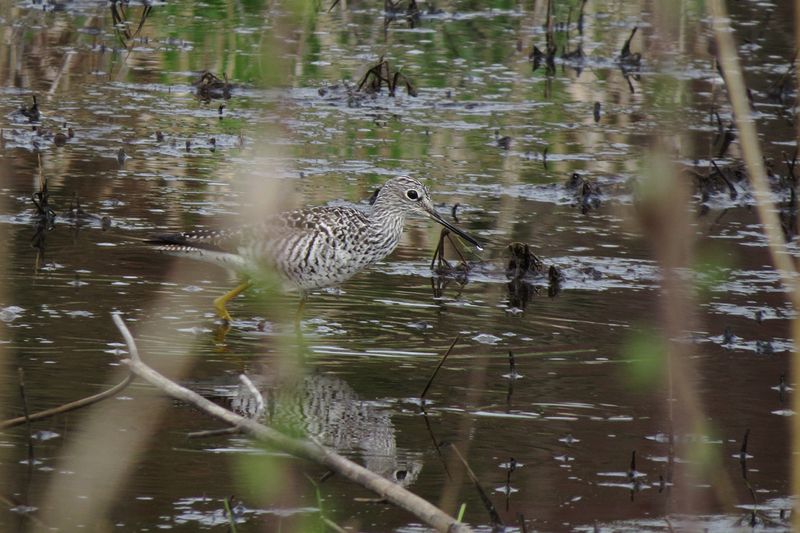 This Greater Yellowlegs was a nice surprise at Commonwealth. 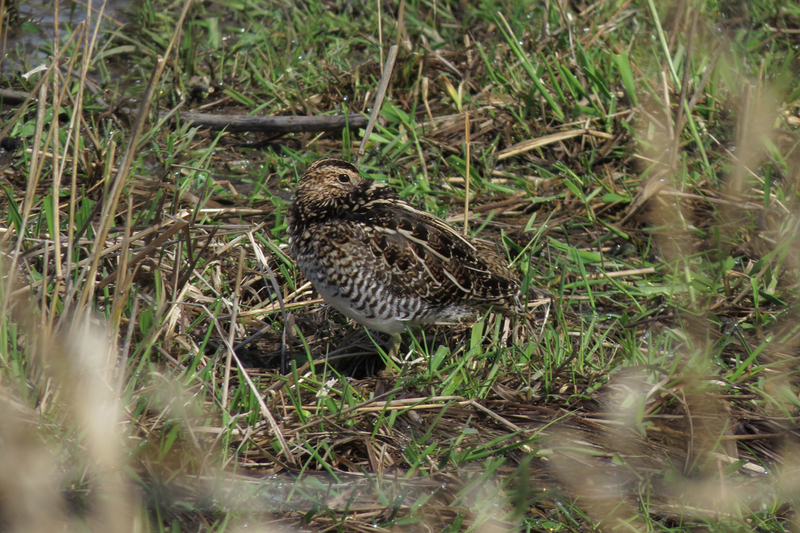 Hopefully the habitat will attract other shorebirds as the spring progresses. 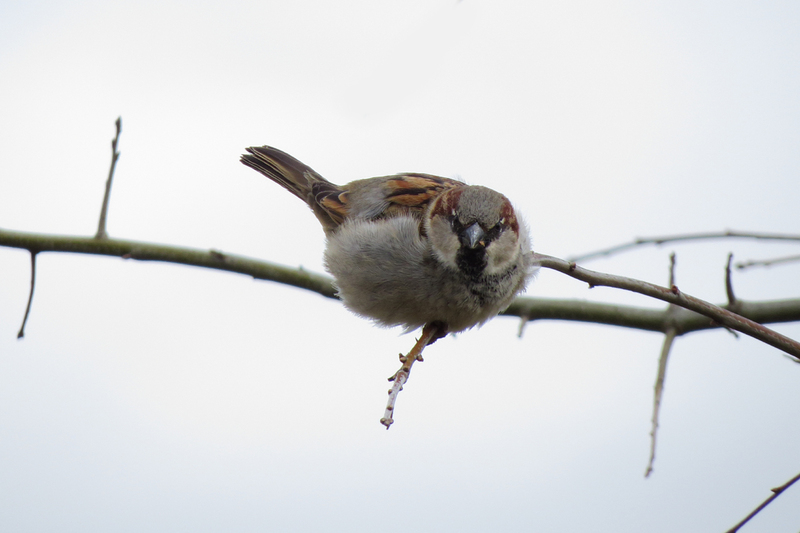 Commonwealth is the only reliable spot in my 5MR for House Sparrow. 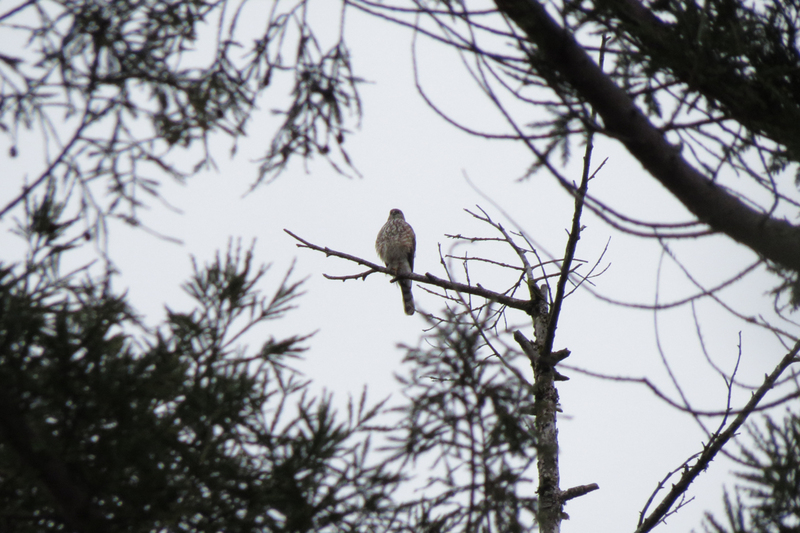 Koll Center Wetlands in Beaverton is not the most pleasant place to bird. You are basically peering into the wetlands from various parking lots. But there are a few species here that are hard to find elsewhere. 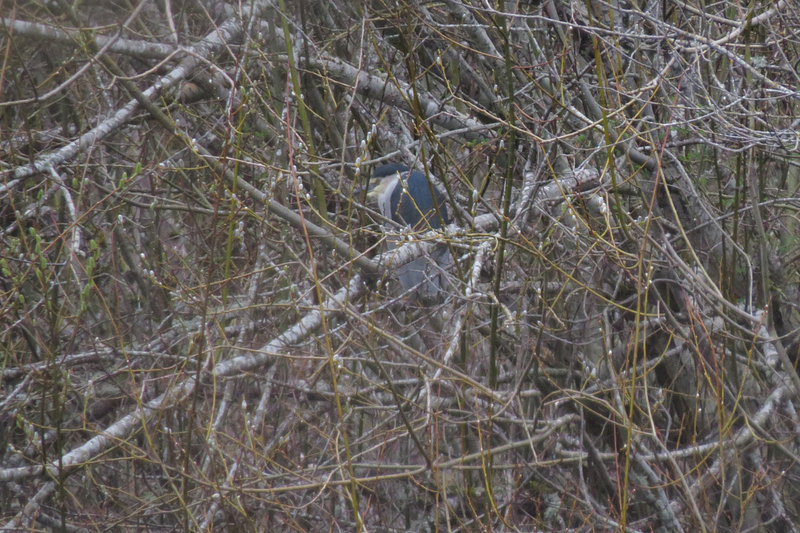 This Black-crowned Night-Heron was barely visible through the brush. 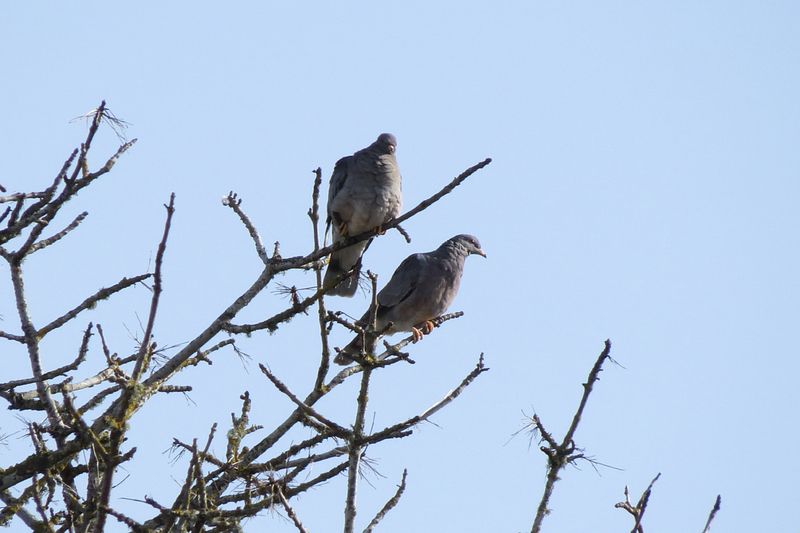 A small flock of Band-tailed Pigeons is reliable at Koll. 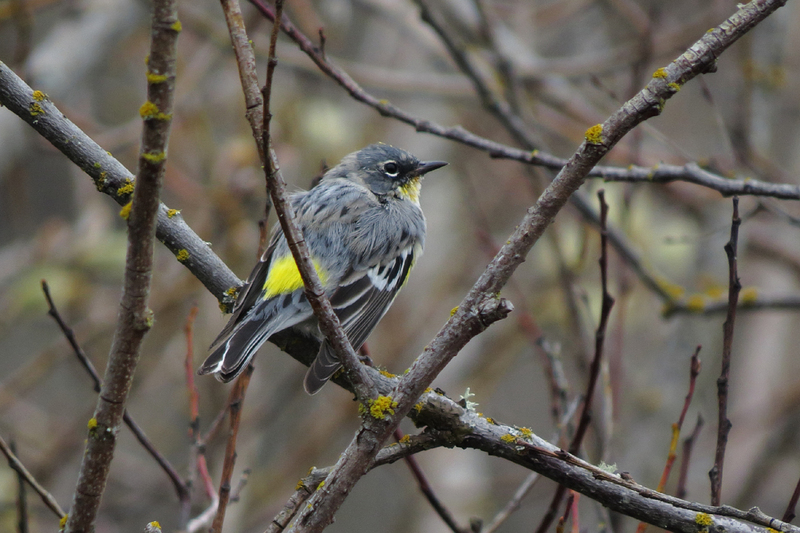 Yellow-rumped Warblers have been common all year at Koll, but some are just now molting into breeding plumage. I have only birded outside my 5MR twice so far this year, both times while teaching Little Brown Bird Classes. 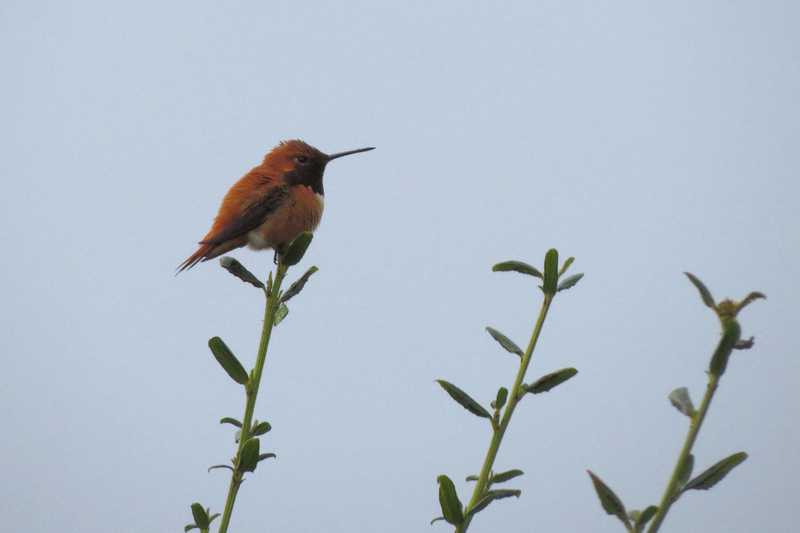 This Rufous Hummingbird was at Jackson Bottom Wetlands in Hillsboro. I have yet to find this species in my 5MR, but it is one of many that I expect to see in the coming weeks. This entry was posted in mammals, OR Birding Sites, seasonal movements and tagged Band-tailed Pigeon, Black-crowned Night-Heron, Bufflehead, Coyote, Great Egret, Greater Yellowlegs, House Sparrow, Rufous Hummingbird, Sharp-shinned Hawk, Wilson's Snipe, Yellow-rumped Warbler. Bookmark the permalink.